German speciality chemicals group Lanxess has narrowed its guidance range for the full year 2013 with EBITDA pre exceptionals expected to be between EUR710 million and EUR760 million, close to its earlier forecast of EUR700 million to EUR800 million. Amidst the dismal news the third-quarter sales in the Asia Pacific region, which accounts for 25% of group sales, rose by nearly 5%, compared with the prior-year period, to EUR515 million. This was largely attributable to growth in China, where sales climbed by nearly 21%. In the third quarter of 2013, the company posted a 9% volume increase year-on-year, with all segments contributing. However, this increase did not entirely offset the 11% overall price decline. 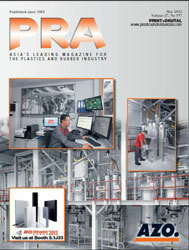 Prices fell particularly in the rubber businesses belonging to the Performance Polymers segment. Negative currency effects, mainly related to the weakness of the US dollar, also had an impact. Group sales fell by 5% overall compared with the prior-year quarter to EUR2.1 billion. Volumes in the Performance Polymers segment advanced by a substantial 14% against the prior-year quarter, with a particularly strong increase in Asia. Though the company says lower prices for raw materials, especially butadiene, led to a 19% decrease in selling prices. The firm says it expects the modest economic momentum to persist in the fourth quarter, with the emerging economies continuing to provide only limited impetus. In Europe, although the situation is expected to ease, the company does not yet anticipate lasting stability. Growth in the US is likely to remain moderate due to the on going budget uncertainty. Meanwhile, though the automotive sector is showing some signs of improvements in China and the US, Lanxess expects the market environment to remain difficult. 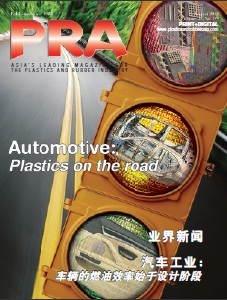 The firm generates 40% of its business from the tyre and automotive markets and its sales have been affected due to the slower sectors. In September, the firm said it is exploring strategic options for units that do not belong to its main business and also to reduce its dependence on the rubber sector by divesting, for instance, its rubber chemicals unit. Meanwhile, the company has begun implementing the efficiency improvement programme announced in September, comprising cost savings, a global headcount reduction of about 1,000 by the end of 2015 and portfolio adjustments. 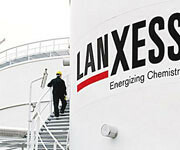 Lanxess expects to generate annual savings of roughly EUR100 million from 2015 onward.